There are plenty of ways that you can use to keep prying eyes away from the contents of your private smartphone. While PIN, Pattern, and Passcode have been around for years, the fingerprint scanner is the new norm of smartphone protection. 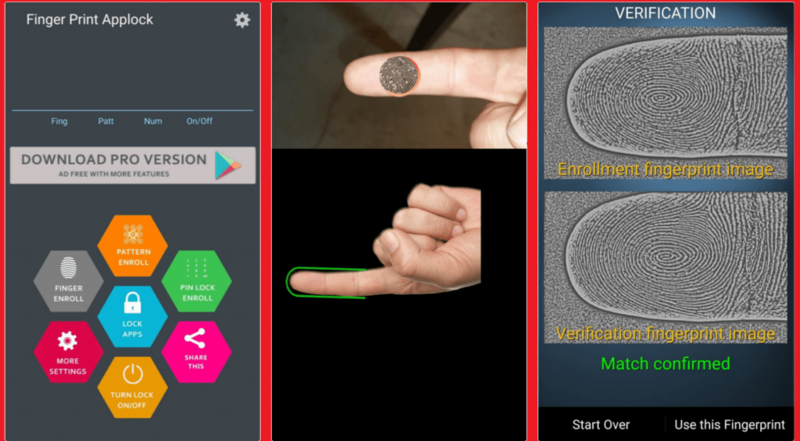 But what if you could fingerprint-lock apps without fingerprint scanner on your Android device? If you’re thinking this guide is about one of those fake fingerprint scanning apps, then you’re mistaken. 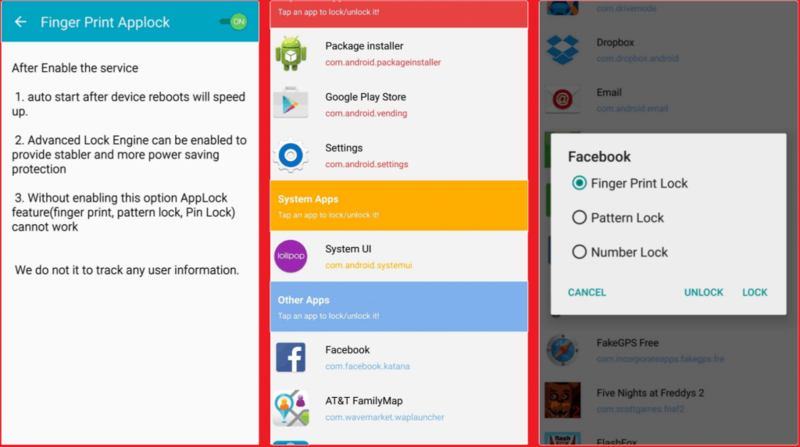 The revolutionary app called Fingerprint AppLock uses real biometrics to fingerprint-lock apps without fingerprint scanner. The secret behind its science is that the app uses your smartphone’s camera to capture your fingerprint and image-processing. So all you need to use this unique app-lock on your Android is a camera and you’re ready to download the app for free. Launch the app and select “Finger Enroll” to begin the process of scanning your fingerprint. Choose the finger you want to set for scanning and then verify it 7 times with the camera scanner to confirm. You can also set a PIN or Pattern lock as a backup in case the app malfunctions and can’t recognize your fingerprint. It is important to remember that since the app relies on your camera’s autofocus, the app may or may not work with all Android devices. Once you have set up the fingerprint, go to the main menu of Fingerprint AppLock and tap on “Lock Apps”. You will have to enable the app from Accessibility Service before you can go ahead and start securing your apps. Once you’ve granted Accessibility access to Fingerprint AppLock, go ahead and select the apps from the list that you want to secure. You will now be able to unlock the selected apps by placing your finger in front of the rear camera. Admittedly, this process is much slower than the one with a traditional fingerprint scanner, but the extra security is always useful. Were you able to fingerprint-lock apps without fingerprint scanner on your Android device? Do you simply find the process too tedious to work with? Do let us know your opinion in the comments below.